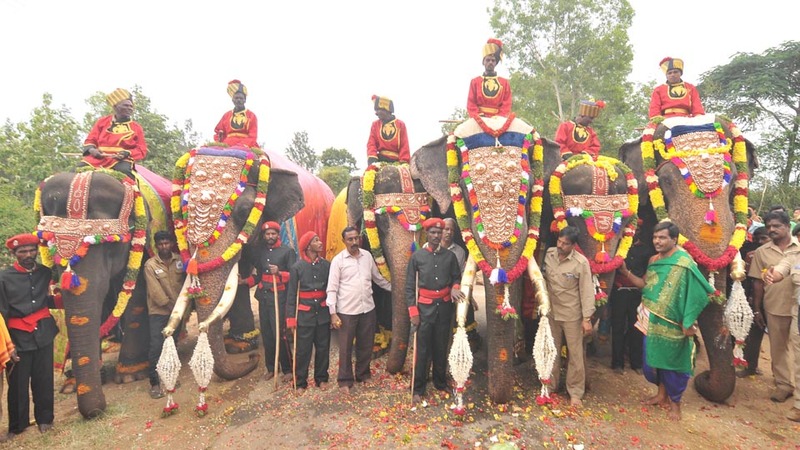 Mysuru: The Mysuru District Administration has decided to insure the 12 elephants, Mahouts and Kavadis participating in Dasara celebrations. Besides, it has also decided to insure public and public property if the elephants damage them. Deputy Commissioner and Dasara Special Officer Abhiram G. Sankar has written a letter to the New India Assurance Company Divisional Manager in this regard giving his consent. Accordingly, Rs.34 lakh is the insured amount for 12 Dasara elephants and the premium to be paid is Rs.40,120. The insured amount for 12 mahouts and 12 kavadis is Rs.1 lakh each and a premium amount of Rs.720 each has to be paid. Likewise an insurance of Rs. 25 lakh has been made for damage by Dasara elephants to the public and public property and the premium for this is Rs.3,540. The validity of the insurance is from Sept.2 to Oct. 31 and if any claim has to be made it should be done within three days of the incident. It has been directed to take the insurance in the name of Deputy Conservator of Forest (Wildlife).